Nancy is famous for may things but, perhaps above all else, it was a renowned centre for the art nouveau movement. 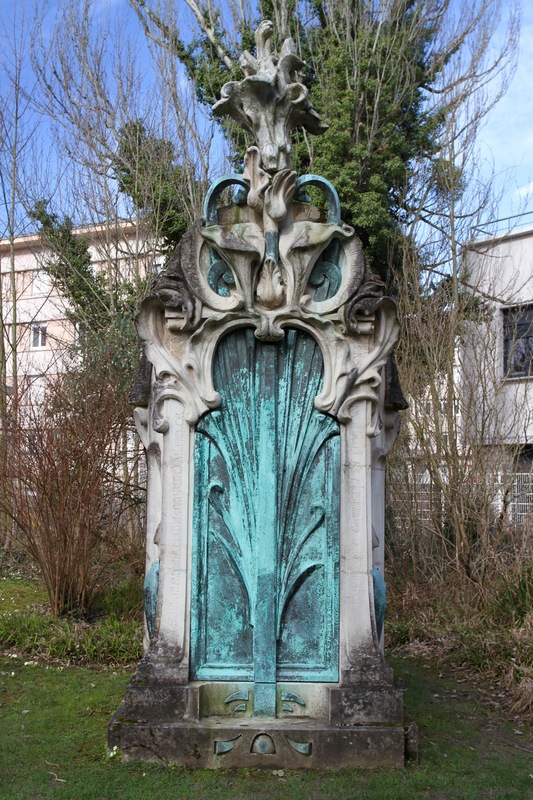 Art nouveau flourished here after France’s humiliating defeat in the Franco-Prussian War of 1870, and the annexation of Alsace and Lorraine by a newly unified Germany. An event little short of a national tragedy, French citizens in German occupied Alsace-Lorraine were given a terrible choice: become German or become refugees. Tens of thousands chose to leave their homes and migrate across the new border. 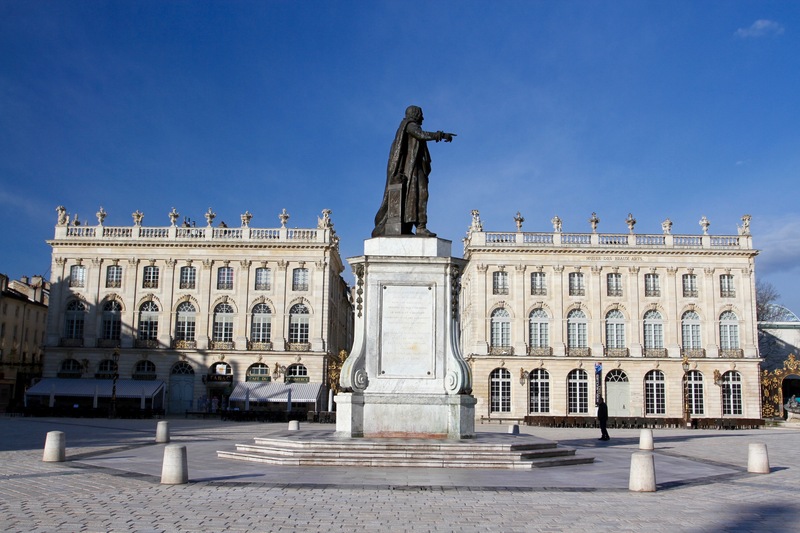 Nancy was the destination of choice for many writers, artists, designers, architects and entrepreneurs fleeing the occupation. 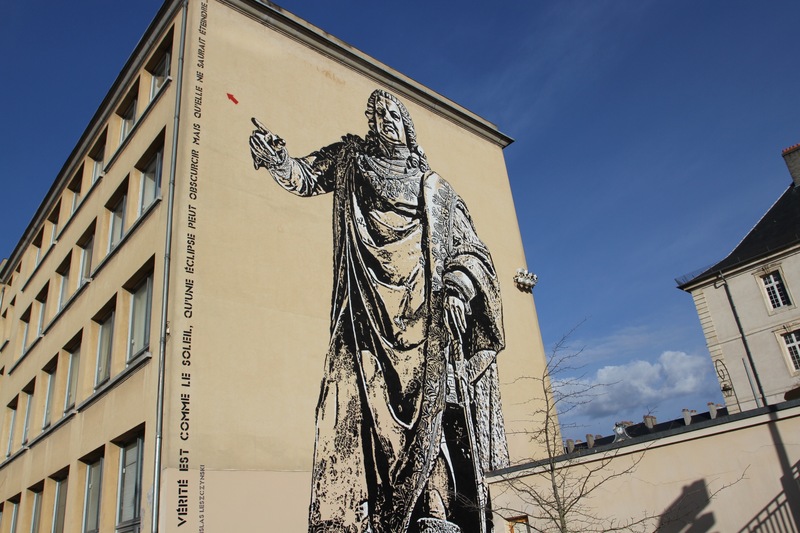 This sparked a remarkable artistic and cultural flourishing, and its effect is seen throughout the town. There are art nouveau buildings all over the centre, shop and restaurant interiors are gracefully decorated in the art nouveau style, including furniture, parks are also laid out in the style. Art nouveau was both a movement of “Art in All” and “Art for All”, and Nancy is a true expression of this philosophy. 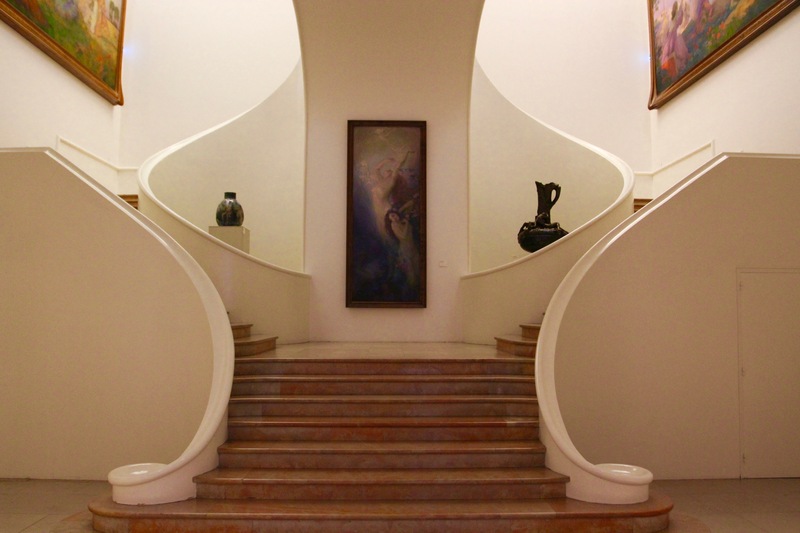 You can walk the streets as if Nancy is an open air museum, but the heart and soul of art nouveau in Nancy is the Musée de l’Ecole de Nancy. 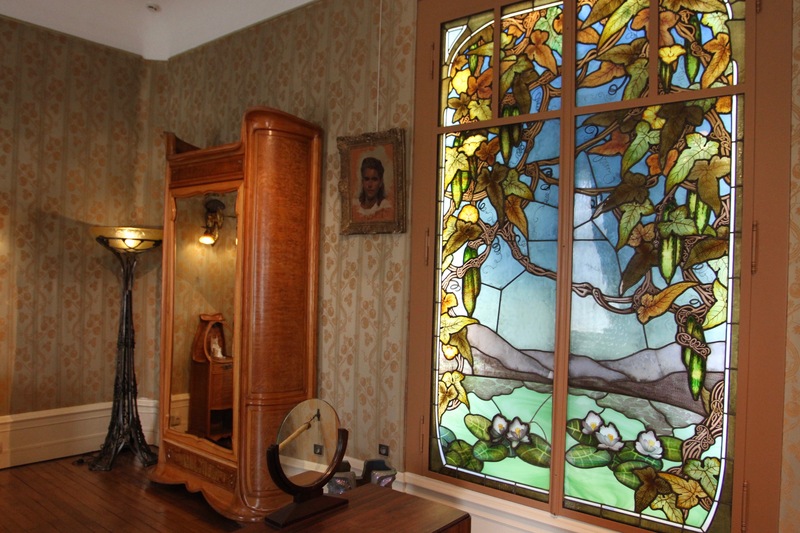 Once the private house of Eugène Corbin, one of the movement’s most important patrons and collectors, today it houses a museum that tells the story of this region’s love affair with art nouveau. 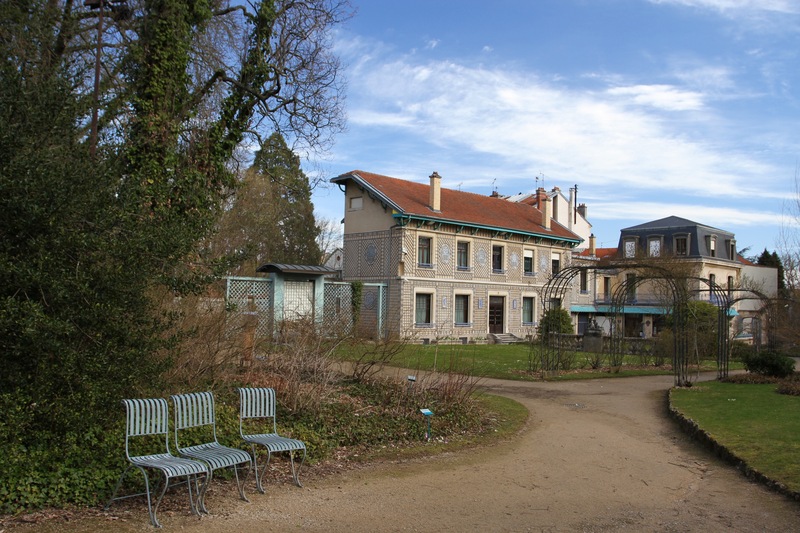 The house was completely designed in the art nouveau style, including the gardens, and is the perfect backdrop for the museum. 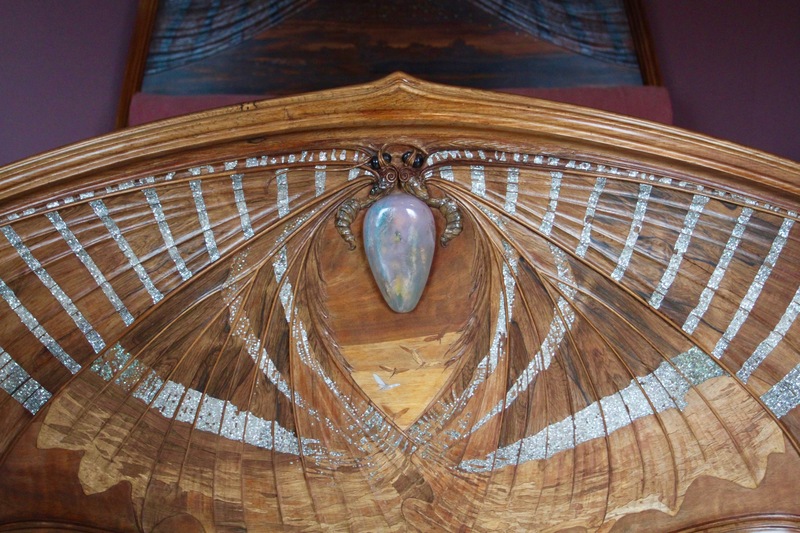 The house is in an upmarket suburb – the movement may have been “Art for All” but it gets its finest expression in the homes of the wealthy – and the walk there took us past a number of other art nouveau buildings. The sky was blue and the sun was shining as we entered the gardens of the museum. We strolled around before plunging into the extraordinary interior of the house. 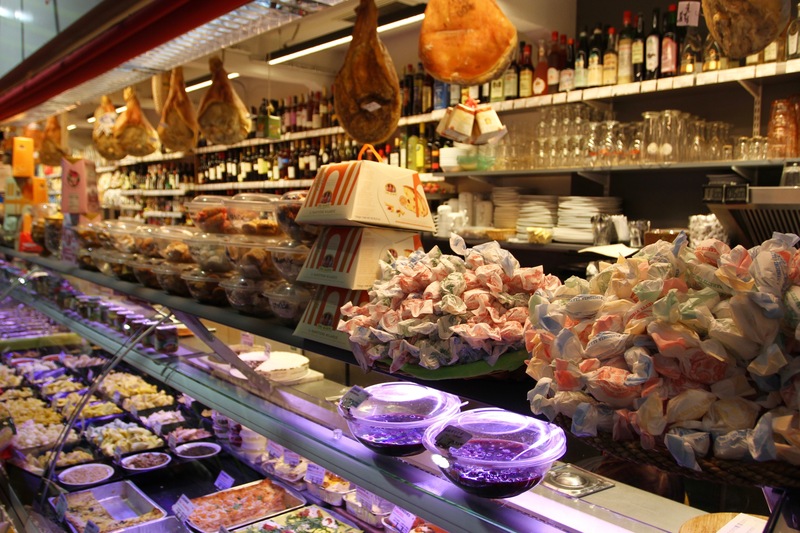 It is filled with art nouveau stained-glass, furniture, ceramics, glassware, textiles and sculpture. It’s overwhelming, totally impractical to the modern eye, and utterly mesmerising. While inside the epicentre of Nancy’s art nouveau movement, blue skies had become bruised with rain clouds and, as we headed back into town, it started to rain. Our plan to walk the town’s art nouveau trails was going to have to wait. Luckily, it was early afternoon and we had a back up plan for a long lunch at Nancy’s fabulous art nouveau Excelsior Brasserie. The exterior is obviously art nouveau, but it gives only a hint of the artistic splendour that awaits inside this Nancy institution. 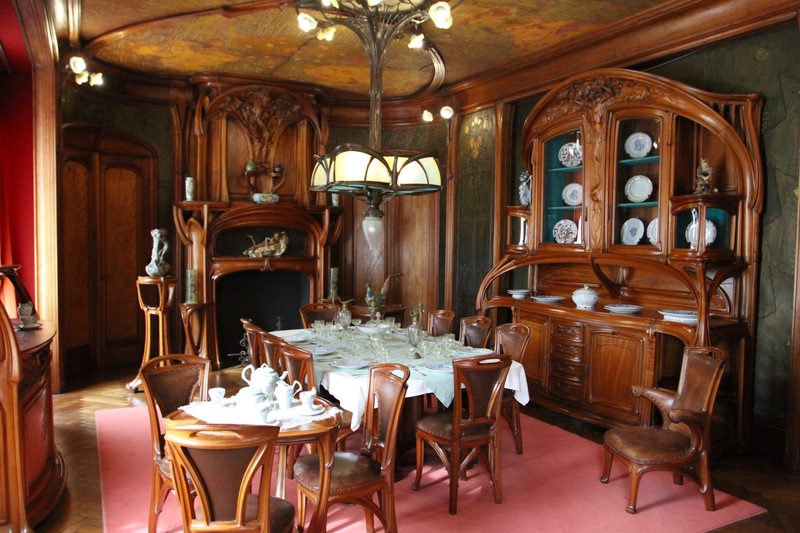 The service might be a little ‘brusque’, to put it mildly, but the traditional Loraine food and excellent wine is accompanied by a ceiling that looks like a whipped meringue, and the furniture is designed by Louis Majorelle, one of the leading designers of France’s art nouveau movement. 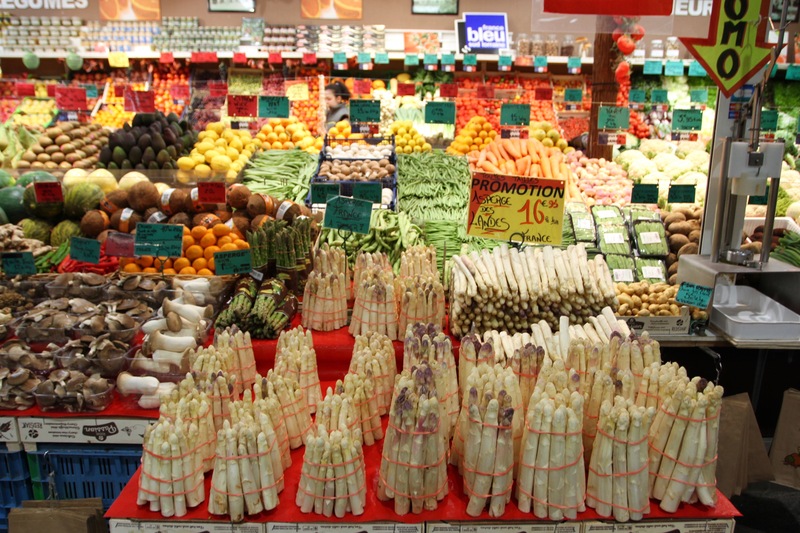 It was the Easter weekend, and the atmosphere was electric with a holiday crowd. We started chatting to our neighbours on the next table, one of whom was an English teacher from a nearby town. Her husband was a wine connoisseur, and we shared a glass of the Chablis premier cru we’d ordered under the influence of our indulgent art nouveau surroundings. He took a sip and was horrified. This fine wine from Burgundy was too cold. He called the waiter over, admonishing him for allowing such a tragedy to happen. This started an animated discussion amongst several nearby tables about how awful this was. People actually apologised to us for the waiter’s indiscretion. It felt like we’d wandered into a Jacques Tati movie. You might say, “it was just a glass of wine”, but that misses the point. 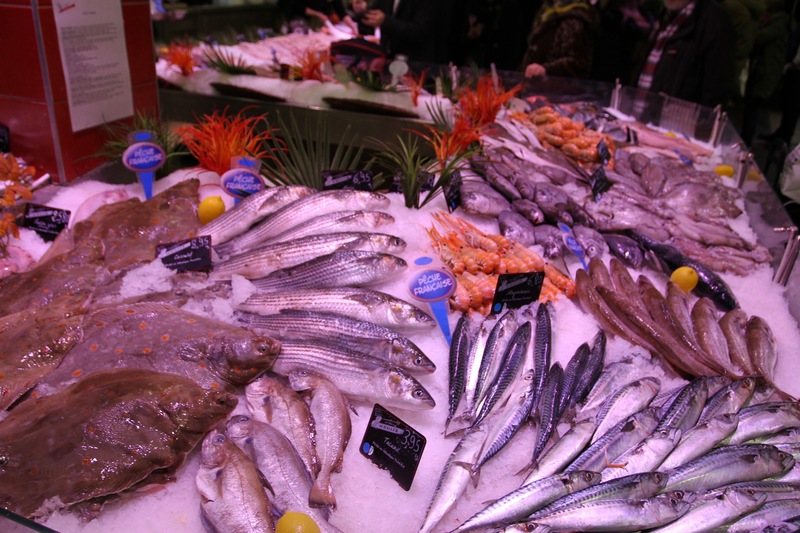 The warmth and friendliness of our fellow diners, their obvious pride in their cuisine, and in wanting us to experience it at its very best, encapsulates something about France that is rare in the rest of the world. It’s a lunch that will stay long in the memory as a result. 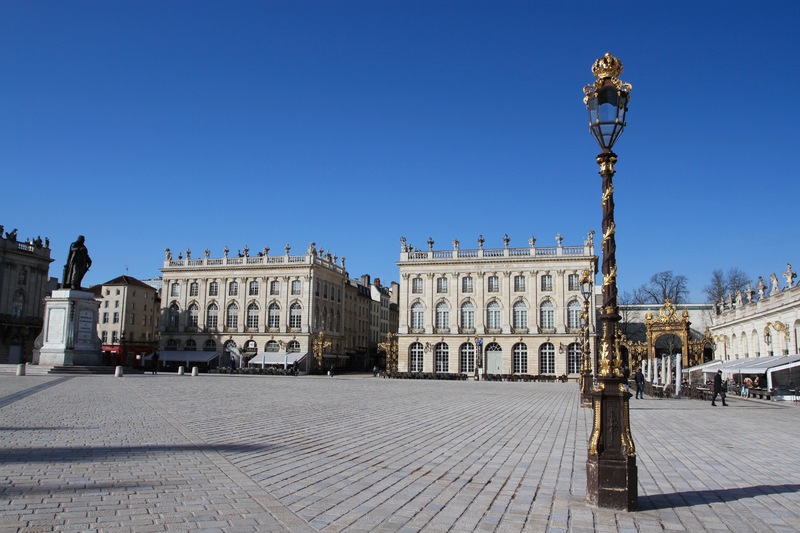 Despite the decidedly un-French name, Nancy’s central Place Stanislas is one of the most exquisite city squares in France. 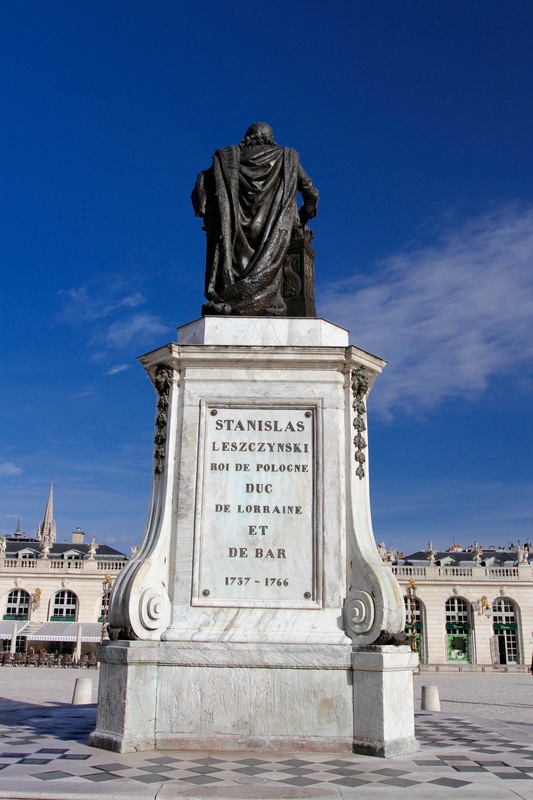 It’s named after a former Polish King, Stanislas Leszczynski, who fleetingly sat on the throne of Poland between 1704 – 1709, before being deposed and fleeing to the Lorraine region of France. A man of vast wealth, not only did his daughter become Queen of France through marriage to King Louis XV, he held the title of Duke of Loraine for 30 years. 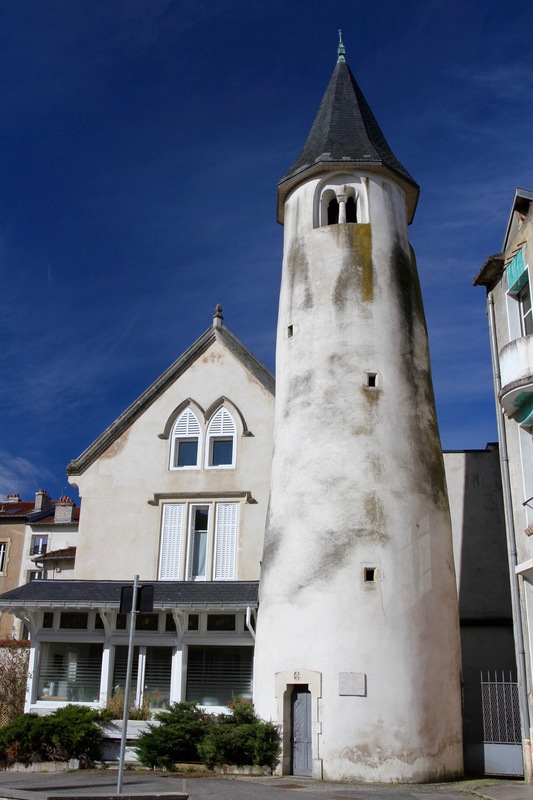 It is Stanislas who’s responsible for the town’s 18th century architectural centrepiece, and I would defy anyone not to feel a sense of amazement upon seeing this UNESCO World Heritage Site for the first time. It’s a masterpiece of urban design, intended to unite Nancy’s old medieval quarter with the ‘modern’ 18th century city. 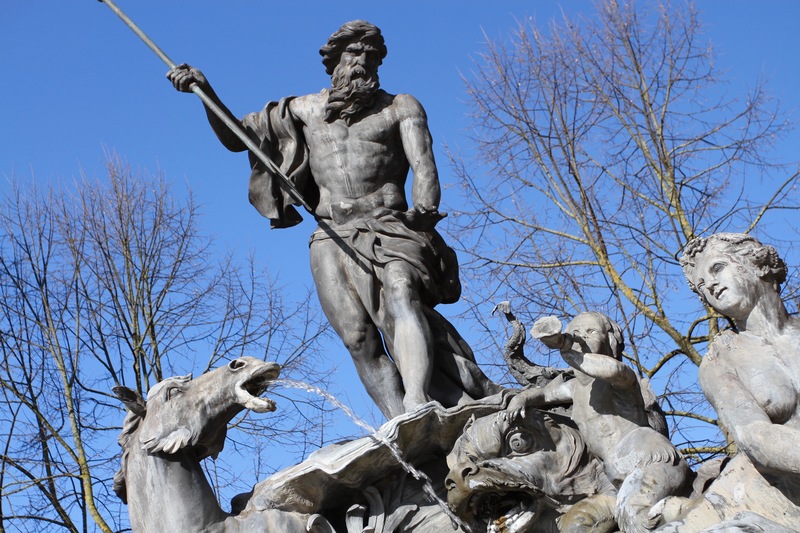 Originally the seat of government for the Duchy of Lorraine, the square is surrounded by magnificent buildings. This includes the City Hall, Opera House, the truly excellent Musée de Beaux Arts, and several restaurants. We’d arrived late the previous evening after a long drive from the Netherlands, but were keen to explore so skipped breakfast in the hotel. We strolled along a pleasant canal in the early morning sun before heading into Place Stanislas. The town was quiet with only a few people on the streets – it was Easter weekend and everything felt a little sleepy. For the first time in a long time, it was warm enough to sit outside one of the square’s restaurants for breakfast. We relaxed and admired our surroundings. Afterwards, we strolled around the square before walking underneath the Arc Héré, a mini-Arc de Triumphe, into the grand Place Carriere, at the end of which sits the Palais du Gouvernement and the former palace of the Dukes of Lorraine, now a museum. We made a quick visit to the museum as most of it was closed for renovation, but the lovely Parc de la Pépinière is next door and we walked through it back to Place Stanislas. 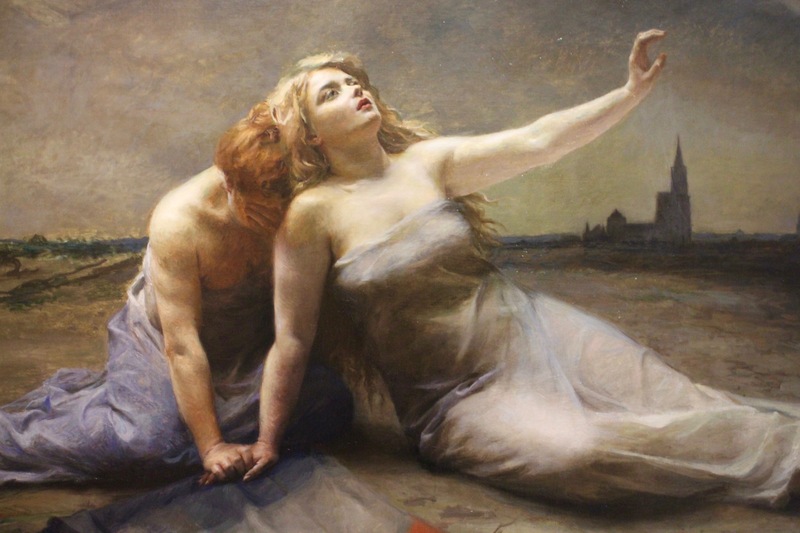 The sun had disappeared and it started to rain, luckily the Musée de Beaux Arts is a fine indoor alternative to exploring the town. Inside the magnificent 18th century building, the museum houses a superb collection of Baroque and Rococo art, as well as a more modern collection on the ground floor. In the basement, excavated around the foundations of the town’s medieval fortifications, is a wondrous collection of Daum glassware. 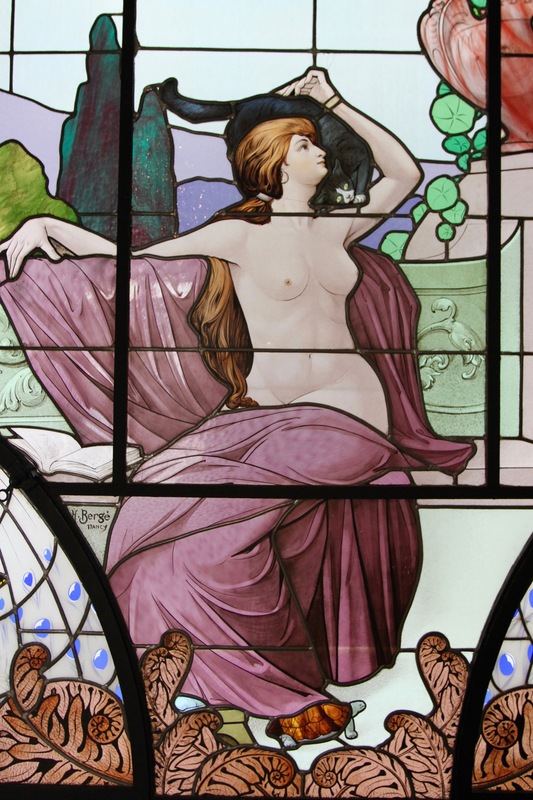 One of France’s most prestigious glass makers, Daum was founded in 1878 and was central to the art nouveau movement for which Nancy is renowned. The museum has over 600 items on display, all hand made. The weather was hit-and-miss throughout our stay, but the rain had stopped by the time we re-emerged. 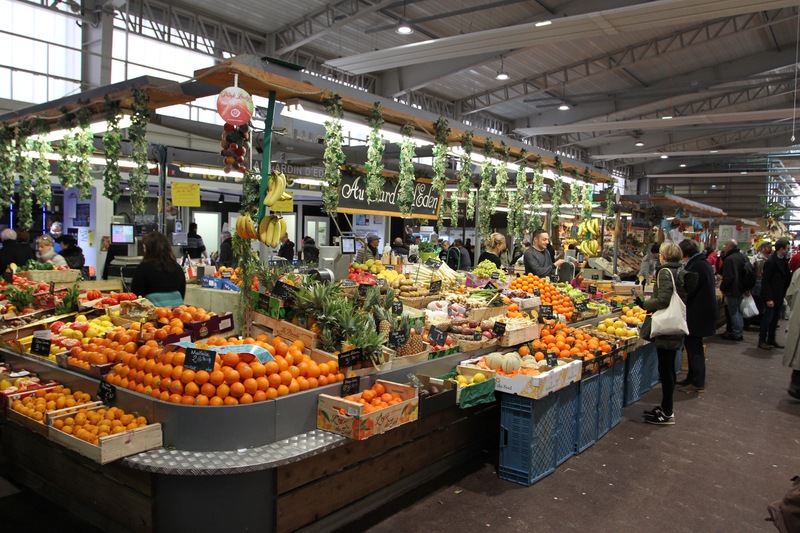 We walked through interesting streets past the cathedral, a vast but plainly decorated building, until we reached the covered market. 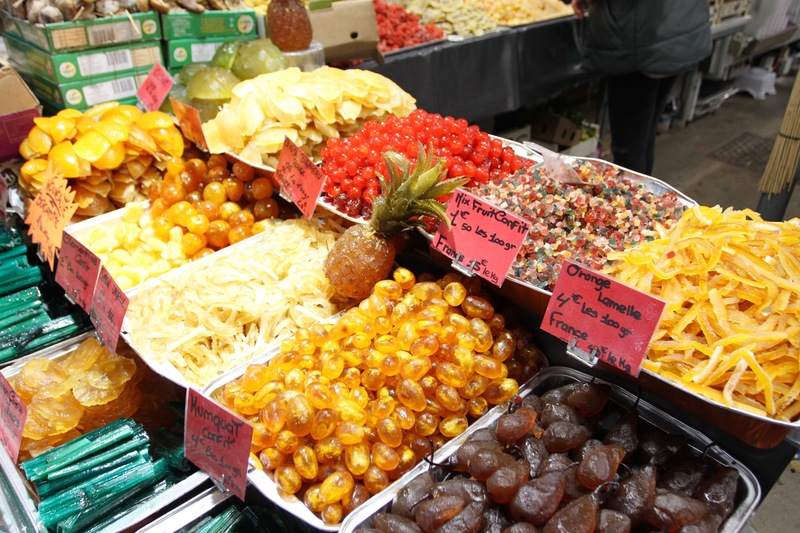 It was a busy day in the market and we had a lot of fun ‘window shopping’ around the food stalls. Across the Place Charles III outside the market, and backed by some of the ugliest high-rises ever imagined by an architect, sits the 16th century church of Saint-Sébastien, worth a visit for its lovely interior. 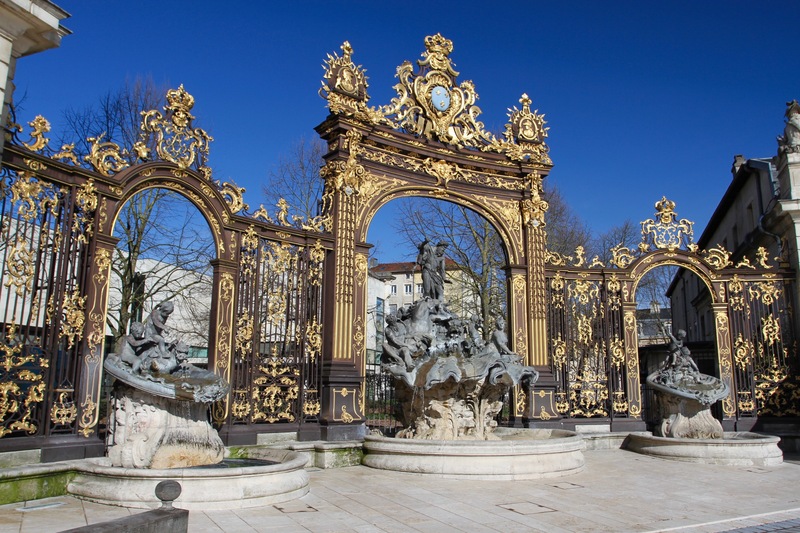 Nancy is known as “little Paris” and, while that might be a stretch of the imagination, it is certainly an attractive place. Night was falling as we found a small cosy bar to try a selection of regional beers (a big deal in Nancy) and some regional foods, including the most famous of all, Pâté Lorrain (a delicious savoury pie). We wandered back into the Place Stanislas, which was now beautifully illuminated, before returning along the quiet canal to our hotel.